Biblical resources for the visually-minded. 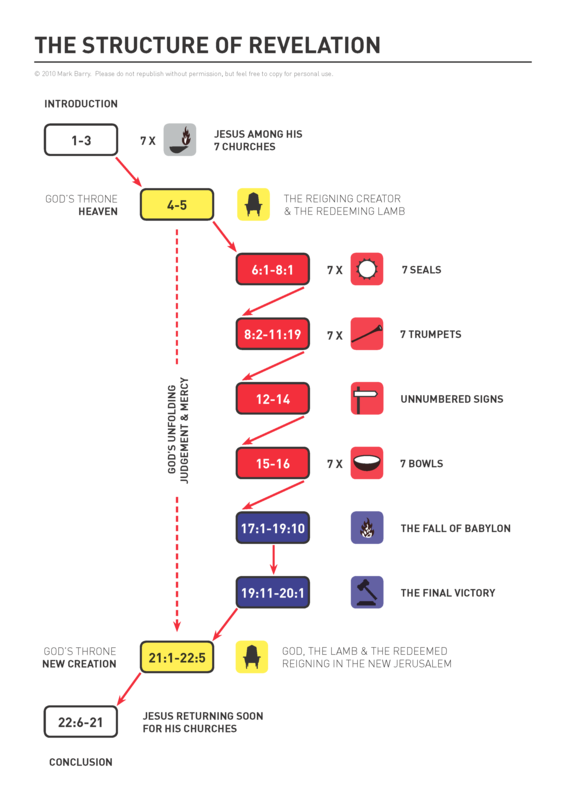 This entry was posted in English and tagged New Testament, overview, Revelation, structure. Bookmark the permalink. may I use this for a talk at Monash CU? great resource by the way. All yours, Stu. Go nuts. Thanks for doing these ones on Revelation, they’re brilliant. When I finally get round to preaching on it, I’ll be using these as reference points! Thanks Matt for the encouragement and observation. Yep, that’s a typo. It should read ’20:15′. I’ll make the change as soon as possible. Thanks for the heads up!